Pakistan is going through Economic crises right now due to which rate of creation of new jobs has reduced very much which is causing lot unemployment. Even many educated Youngsters having degrees are not able to find jobs. due to this sad situation lot of people have also left Pakistan to get jobs. But Due to this reason the trend of various types of Online Jobs and Online Businesses has also increased in Pakistan in recent years. Very large number of Youngsters have started blogging to Make money from their homes. Many others are doing Freelancing by finding right projects according to their abilities. for example those youngsters who are good in web developing find web development projects online and earn good amount of money for completing them. Due to this trend famous Freelancing site freelancer.com also started their Pakistan version freelancer.pk some weeks ago. 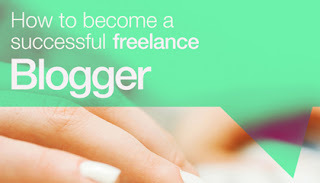 the good thing is that you don't need investment or any specific degree for blogging or freelancing. These Youngsters are not only making money for themselves but also bringing foreign reserves to Pakistan without any help of Government.